While sitting in my seat on the plane heading back home from the exciting 2 days of auctions in Geneva, I was deep in my thoughts, trying to figure out how I can properly describe what happened during these two intense auction days. 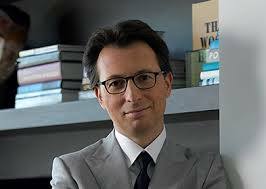 It was the most anticipated event of the year, and both Christie’s and Sotheby’s delivered on their promise, as always. I tried to understand the decision making process of these extremely wealthy individuals when buying some true one of a kind diamonds and gems – such as the “Blue Moon” that broke a few records, in a matter of a mere few minutes. I, like most individuals in the world, did not know who the mysterious buyer was on the telephone during the intense bidding war that the diamond underwent. No one knew the buyer other than the individual and the staff from Sotheby’s. In my tenure, I have witnessed several incredible record breaking events, such as the incident involving the 13.22 carat Fancy Vivid Blue pear shaped diamond that was subsequently renamed the “Winston Blue”, also in Geneva, back in 2014. 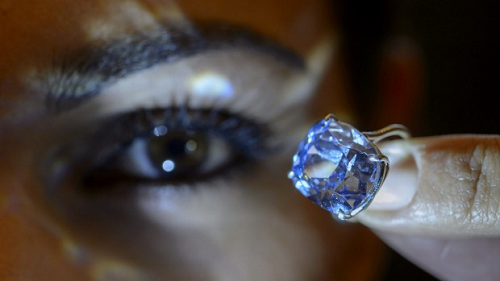 That diamond sold for a record price of $1.8 million per carat. 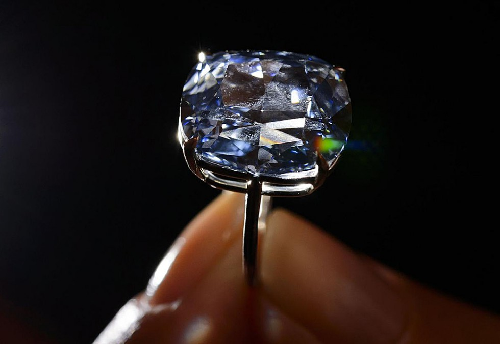 Later on that year, a 9.75ct Fancy Vivid Blue pear shaped diamond that was previously owned by Mrs. Rachel ‘Bunny’ Mellon was acquired at auction and broke any thinkable and estimable price when it sold for $3.4 million per carat, and was renamed the “Zoe” diamond. 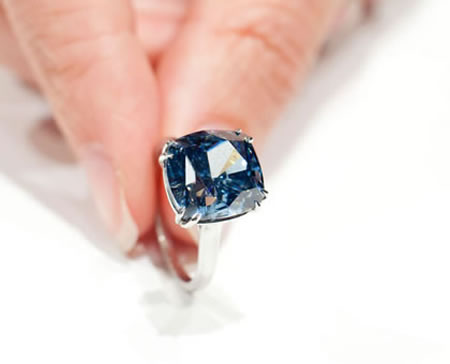 And now I was witness to the sale of the 12.03 carat “Blue Moon” diamond, which was also a Fancy Vivid Blue and broke the “Zoe”’s record now that it has sold for $4 million per carat. It was acquired by HK billionaire Joseph Lau for his 7 year old daughter Josephine and was renamed the ‘Blue Moon of Josephine’. There is a common denominator for the 9.75 carat Zoe and the 12.03 carat Blue Moon. Both have been acquired as a simple act of love – the love of a father for his daughter. That is the true nature of humankind, generous love. This particular act of human behavior proved to utterly shatter the records, not by little but by a mile! 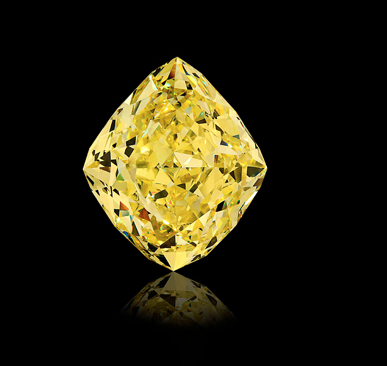 There was an incredible price leap going from $1.8m per carat to a staggering $3.4m and now $4m per carat, something completely unusual. 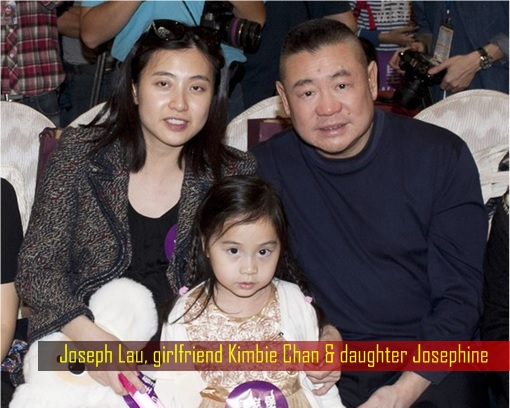 The ‘Blue Moon’s buyer, Joseph Lau, has a history of acquiring the absolute best for his family. For him, money is no object. He acquired the aforementioned 9.75 carat Fancy Vivid Blue last year for his 13 year old daughter Zoe and renamed it the “Zoe” diamond. In 2009, he acquired the 7.03 carat Fancy Vivid Blue “Star of Josephine”, which he named after his then 1 year old daughter Josephine. Back then, the diamond set a record for price sold, at $9.5 million or $1.35 million per carat. That diamond was unearthed at the Cullinan Mine in South Africa like the ‘Blue Moon of Josephine’, and most likely the 9.75ct “Zoe” diamond was discovered there as well. I have repeatedly written about this type of investment, which goes beyond the intellectual type of investment to which the financial world is normally exposed. 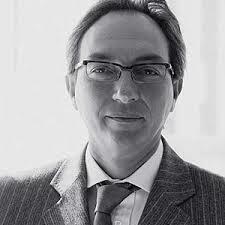 As all financial experts know, every investment, small or large, typically undergoes a process. Usually, it begins by a proposal going to a committee, and then the committee does all the research possible to see the viability and the profitability of the project that was proposed. This process has no emotional attachment whatsoever and is purely mathematically based. Every wealthy individual in the world goes through this process in order to best manage their money, yet each one has this part of him that crumbles when it comes to passion investments. These kinds of investments may be to these individuals a work of art, a rare exotic car, or even a musical instrument with a rich past. All these belong in their own special investment category that simply does not go through the usual, educated investment criteria and protocol. Where does an expert come into the equation when we want to understand the calculated and educated part of this investment? After all, it is still an investment although it is one driven by emotions as opposed to pure logic. When do we turn to an expert to advise us on such rare diamonds that even most fancy color diamonds dealers in the world don’t get to see or touch? Only the elite of global diamond and jewelry dealers are aware of the existence of these types of stones. I decided to turn to some of those dealers and seek their expert opinion on this stone. Of course, each of the experts in question got to see and be part of the transformation of the Blue Moon, from birth to the auction floor, and are intimately involved in its evolution. This is how they are able to make decisive observations about it and evaluate its worth. Leibish Polnauer, president of online fancy color diamonds company Leibish & Co. had the opportunity to examine the “Blue Moon” on his recent trip to London while visiting his good friend and colleague Laurence Graff. Polnauer, similar to Graff, has stopped counting how many one of a kind diamonds have passed through his hands in the past 30 years. 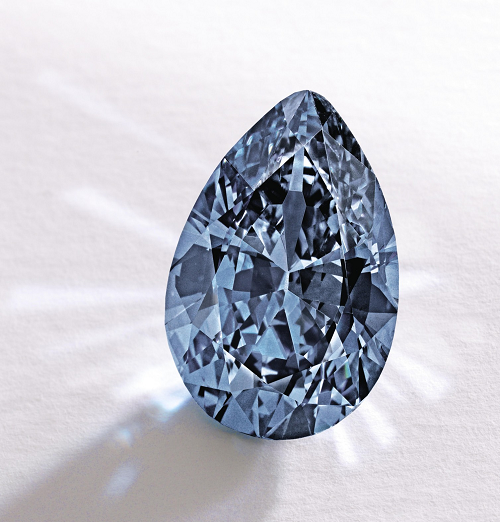 However, the ‘Blue Moon’, described by Polnauer as being an “exceptional stone, pure as the sky”, after the auction, he added that “it sold at a great price due to the perfect color”. 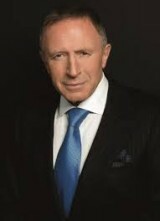 Marcel Herszaft, a partner at Herszaft & Rachminov (the fancy color diamond arm of A. A. Rachminov, one of Israel’s top global exporters and dealers, occupying the Top 20 Exporters in Israel list for the past few years) – and who knows some intimate details about the ‘Blue Moon’ that others don’t – has also expressed his impression of the diamond. He made similar comments as all the other experts and added that “the ‘Blue Moon’ has an exceptional color and is a sensational diamond”. 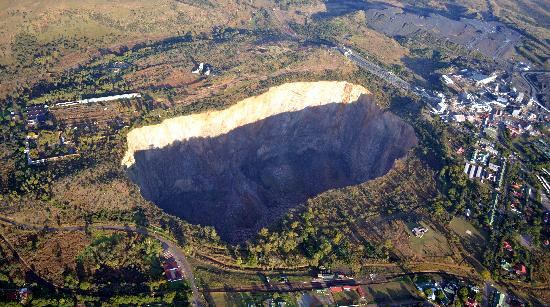 Right after the “Blue Moon of Josephine” was added to Lau’s collection, I decided to hop on a plane to the Cullinan mine. I just had to personally be there and see this wondrous source of incredible diamonds with my own eyes. I got in touch with my friend Dr. John Bristow, the previous CEO of Rockwell Diamonds and a world renowned geologist with 30 years of experience in the diamond industry. He arranged for a private tour of the mine, a colossal operation that is over 2500 feet underground. Just for a little perspective on its immensity – it took a full 4 minutes to get from the doors of Shaft #3 all the way to point 763, which translated to 763 meters below ground. It was an amazing experience. We underwent a crash course on safety issues, and went underground. No cellphones were allowed to be used underground due to their causation of interference with the underground machines. The mine was most impressive! The tour took almost 3 hours, and we walked many miles in the tunnels surrounding the open pit. 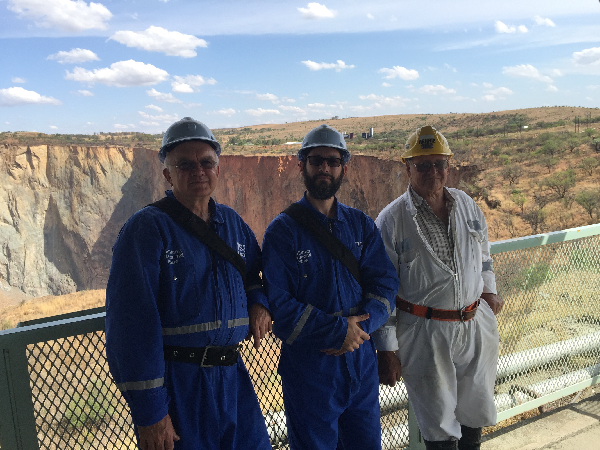 Hennie, our “tour guide” has been working in the mine since 1956, and after almost 60 years, he knew everything there is to know about this mine. It was running in his blood more than oxygen. Overall, it was quite an experience. Thank you Hennie for the private tour! 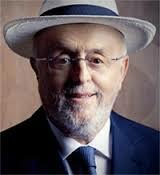 There is no doubt in my mind that fancy color diamonds are only in their infancy days vis-a-vis the market. More and more consumers are learning about fancy color diamonds, their beauty, and their potential. Renowned geophysicist and gemologist Stephen Hofer published his book in the 70’s, and so have many others on this subject since. The powerful Internet allows individuals and institutions alike endless resources to learn about these rare diamonds and the story behind each one of them. The investment community is also slowly getting involved by learning, understanding, and appreciating how the crème de la crème of these assets are worthy in terms of investments. For example, just recently a diamond fund has done just this by acquiring the top lot from the 2015 Argyle Tender, named the “Argyle Prima”, which is a 1.20 carat Fancy Red Pear shaped diamond. Similarly, many other private as well as institutional investors have been acquiring rare and unique diamonds for the prospect of future capital appreciation and investment return. For quite some time, the Diamond Investment & Intelligence Center has been educating the investment community about rare diamonds, and is facilitating the acquisition of rare diamonds, most of which will not even hit the auction house. We help investors learn about, acquire, manage, dispose of and monetize these rare diamonds. Feel free to contact us for a consultation or to book an educational seminar. Sotheby’s & Christie’s end 2015 with a BANG! who will prevail? Christie’s meets its yearly goal while a Ruby breaks the record, again!